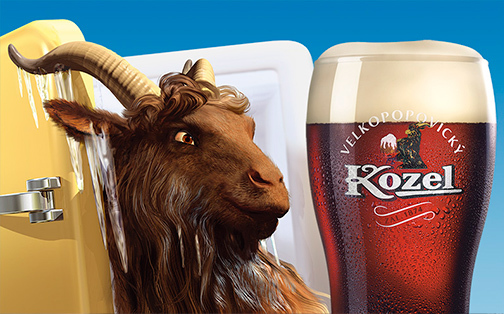 The award winning dark lager. 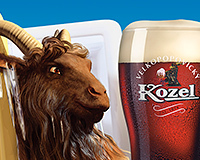 The dark lager from the Czech Republic is one of the best in the category worldwide, and it has been winning the award for the favorite dark beer in its native country for the past seven years in a row. 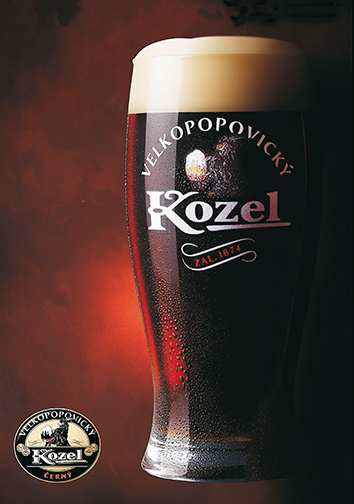 Kozel is produced by high quality dark malts, and what distinguishes it from the other beers of its category is the fact that its foam is also dark. This comes as a result of using only natural ingredients in its production and no conservatives. 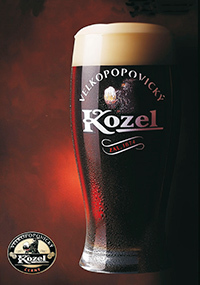 Kozel has a wonderful light taste of caramel and hop, and a deep dark color. It is slightly sweet, with low alcohol content and a light smoky flavor.